By Xah Lee. Date: 2016-11-04 . Last updated: 2017-05-27 . 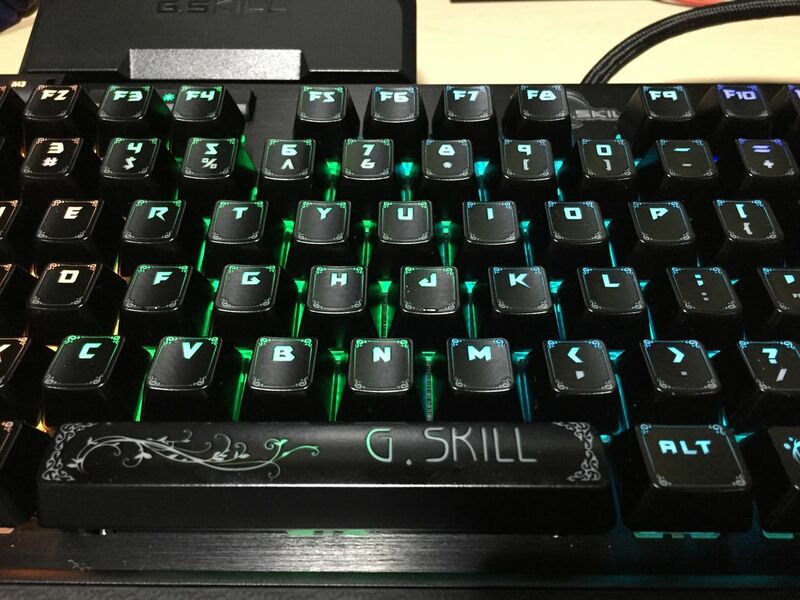 This keyboard, made by G.Skill, a company from Taiwan. 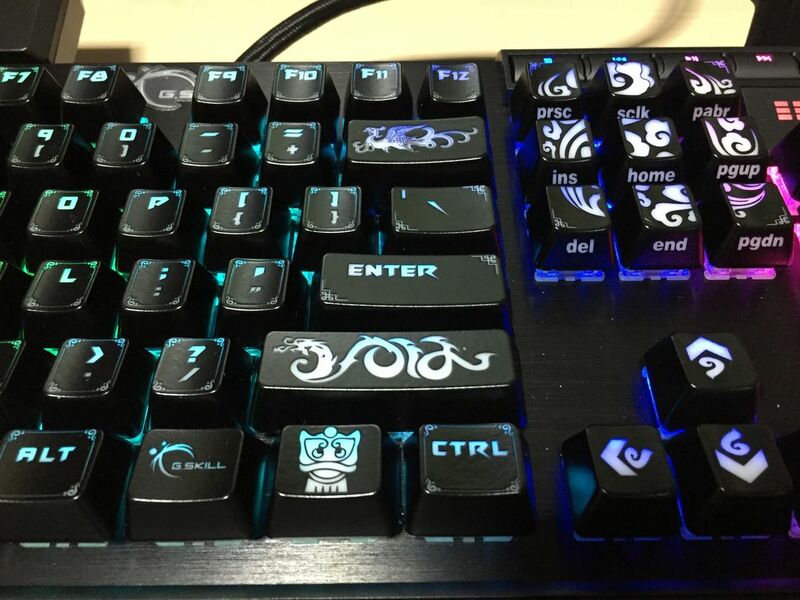 The Shift key is Chinese dragon. 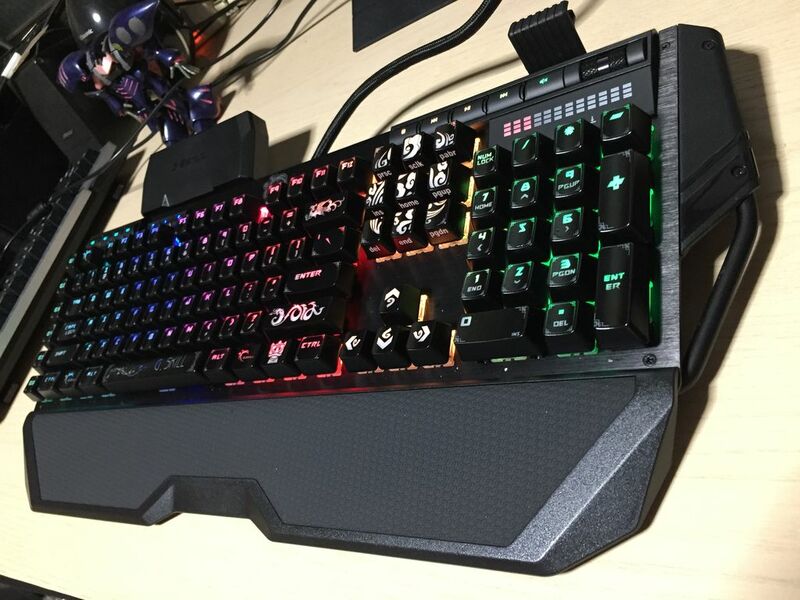 The ⌫ Backspace key is Fenghuang (aka Chinese phoenix). 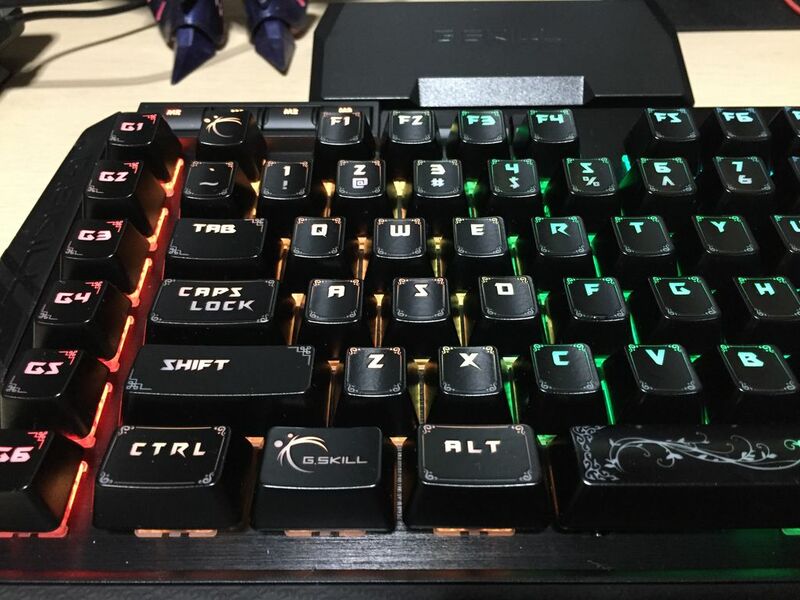 G.Skill RIPJAWS RGB Mech Keyboard, with add-on keycaps. Much thanks to mysticsiva for the photos. 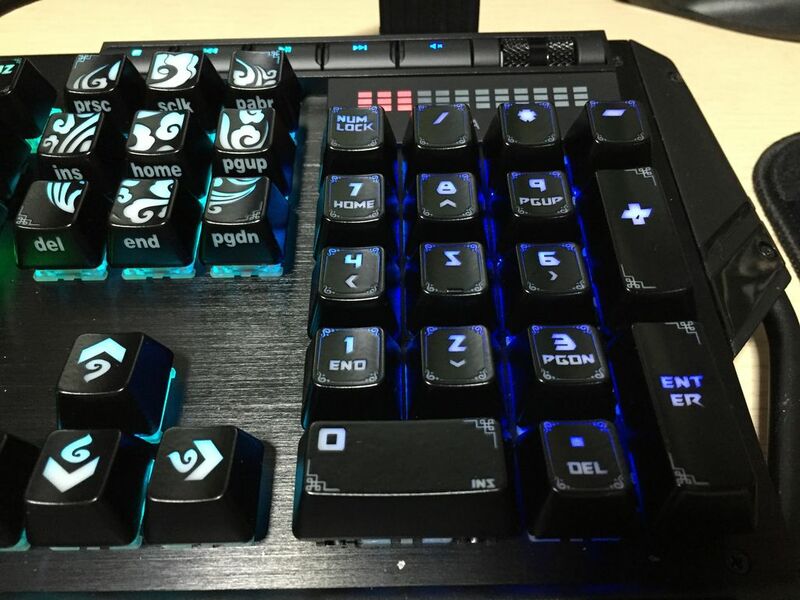 Check out his site for lots more keyboard pages.